On view from March 3 through April 2, the new exhibition One Thousand Doors, No Exit features two projects by Warsaw-based artist Nicolas Grospierre, TATTARRATTAT (2010) and Hydroklinika (2004). 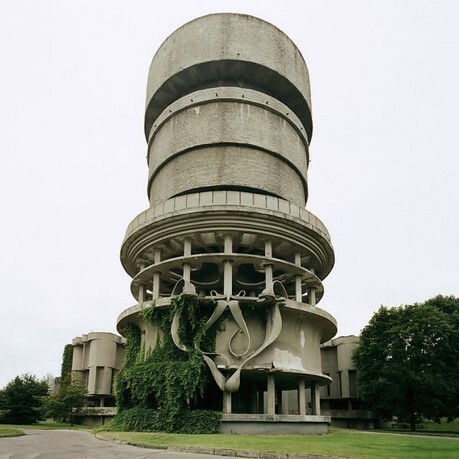 The subjects could not be less similar: a 14th century Venetian palazzo and an abandoned Soviet-era spa treatment complex in Lithuania. Taken together, however, these projects show Grospierre's persistent interest in the tension between perception and truth in architecture, as well as architecture's capacity to stand as an artifact of ideology. Tracing a path of reflections through a series of convex mirrors, the two-channel projection TATTARRATTAT guides viewers on two simultaneous tours of a 14th century Venetian palazzo’s winding interior. While each tour appears to be different, they progress along the same path but in different directions. Both begin and end in the courtyard, and what at first appears to be a video shot in real time begins to reveal itself as an animation composed of over 500 individual photographs. 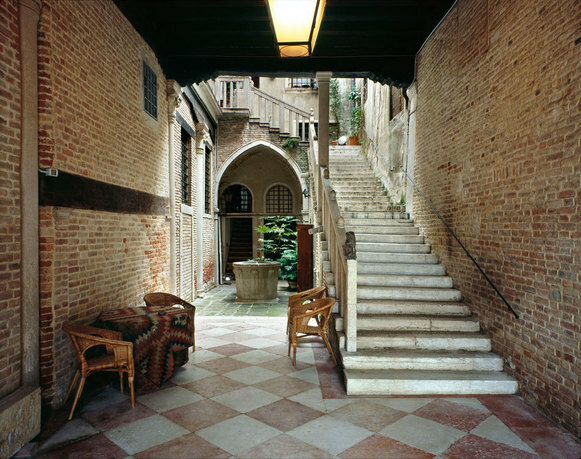 TATTARRATTAT was originally commissioned by the Signum Foundation, and curated by Grzegorz Musial, the Foundation's director, as one of the first in a series of site specific projects intended to engage the unique history of the Palazzo Donà, Signum’s headquarters in Venice. The project’s title, TATTARRATTAT, comes from the longest palindrome in the dictionary, a term for a knock on a door coined by James Joyce in Ulysses (1922). 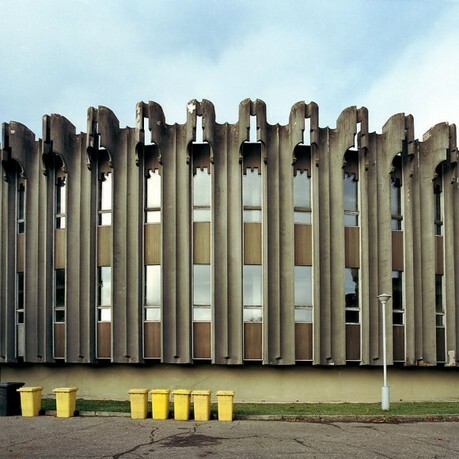 Hydroklinika is a series of 32 photographs of a treatment spa complex built between 1976 and 1981 in Druskininkai, Lithuania, once one of the Soviet Union's most popular spa towns. The complex boasted 50 healing rooms, 80 thermal baths, 40 mud baths, and an underground pool, and could accommodate up to 500 patients. 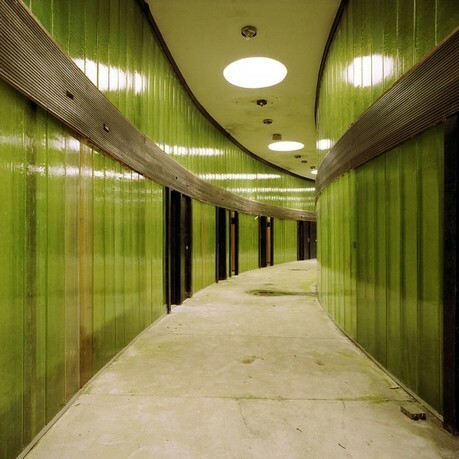 Grospierre photographed the facility in 2004, a year before it was partially demolished and radically transformed into a water park. 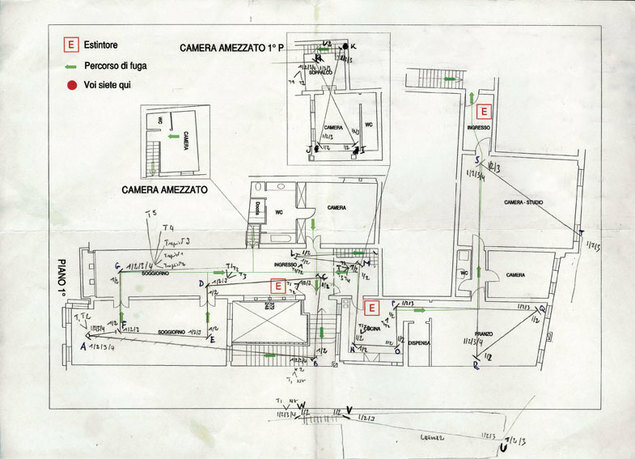 He recalls that the eerie emptiness of the abruptly abandoned building reminded him of a modern Pompei, and that “the frozen state of the architecture from this perspective is very telling about the Marxist project. Incredible, Utopian, buoyant, but not practical, and not economically viable." 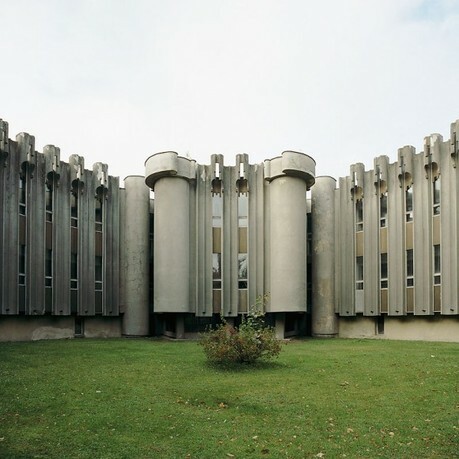 The architecture stood vacant as a relic of a communist country and system that no longer exists. 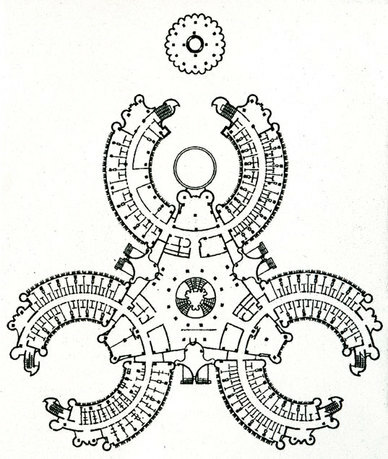 The complex was designed by little-known architects Romualdas and Ausra Silinskas on a ternary plan, which means that each element is repeated by a multiple of three. 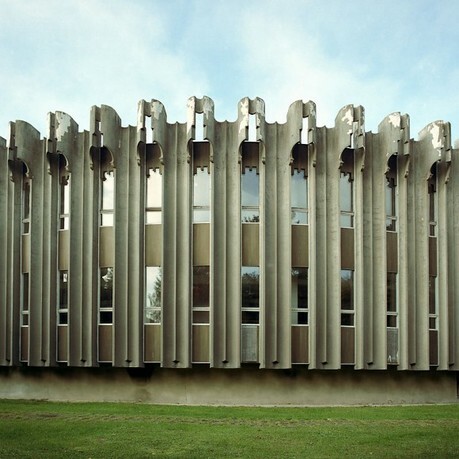 And since Grospierre photographed both the interior and exterior of the building uniformly, in what he characterizes as a “global, objective, and systematic” way, many of the photographs appear to be the same when in reality they are three different parts of the building. Nicolas Grospierre (born 1975, Geneva, Switzerland) lives and works in Warsaw, Poland. He studied sociology at the London School of Economics and political science at the Institut d'Etudes Politique de Paris. In 2008, Grospierre and Kobas Laksa were awarded the Golden Lion for Best National Participant at the 11th International Architecture Biennale in Venice for the Polish Pavilion project, Hotel Polonia. The Afterlife of Buildings. 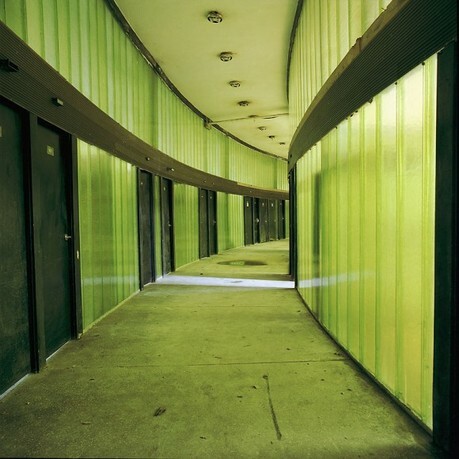 He works predominantly in an expanded field of photography, exploring the social organization of space. Grospierre's work has been shown internationally in exhibitions in Berlin, Brasilia, Madrid, New York, Venice, Warsaw, among other cities. The Graham’s exhibition One Thousand Doors, No Exit is the first presentation of TATTARRATTAT and Hydroklinika in the United States. The Graham Foundation’s presentation of TATTARRATTAT is made possible in part by the Signum Foundation.